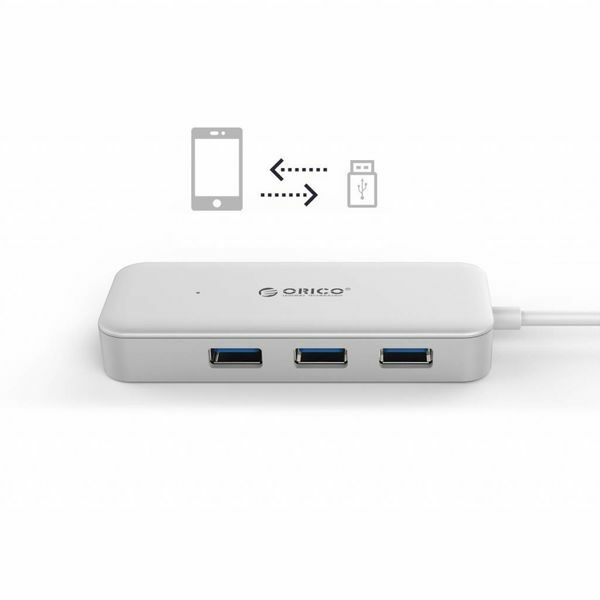 Easily create USB Type-A connections from your USB Type-C port using this modern Orico hub. 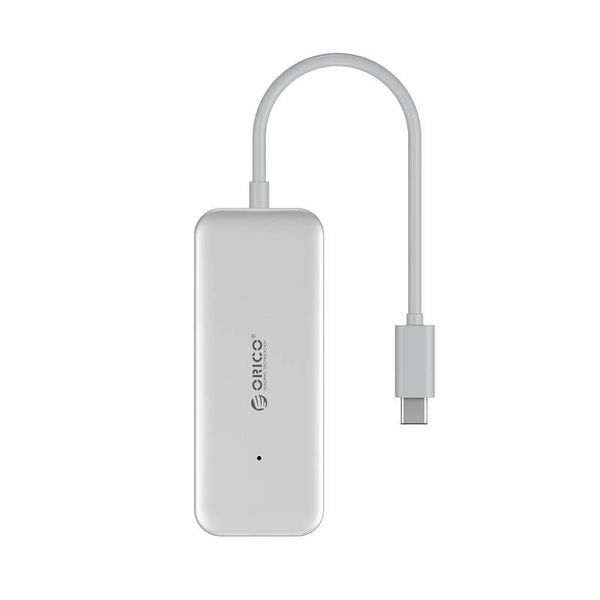 Achieve speeds of up to 5Gbps through USB3.0 technology. 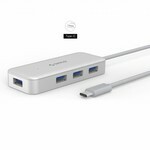 Do you have a laptop or computer with only a type-C connection and would you like to connect various devices with USB type-A, then this type-C USB3.0 hub with four type-A ports is for you! 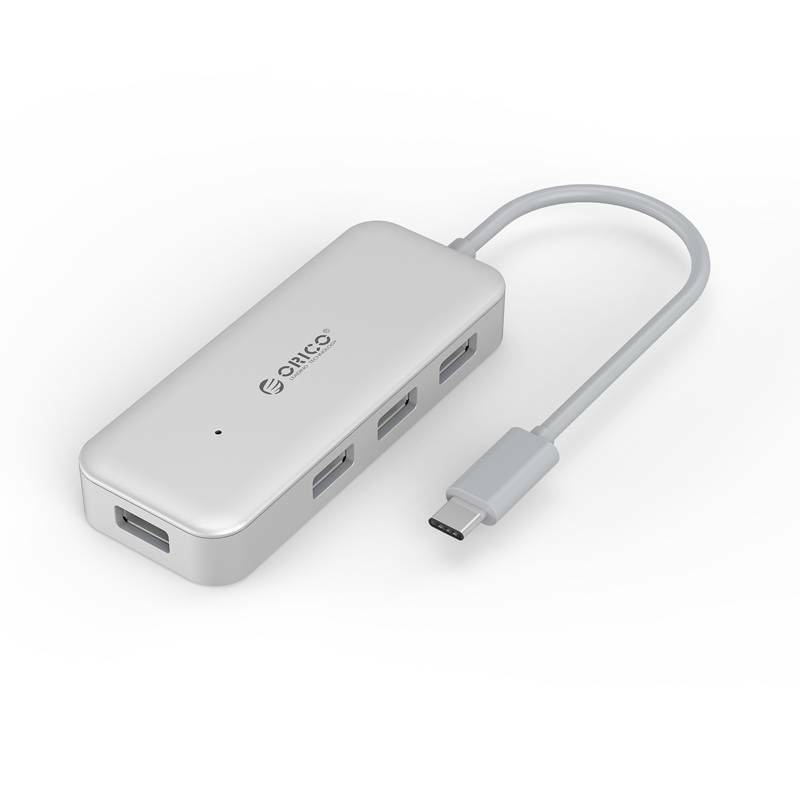 By connecting this Orico product to your type-C connection, you can easily connect multiple USB type-A devices to the latest laptops and computers. The traditional USB type A connector is slowly being replaced by the latest USB standard, namely the USB type-C connector. 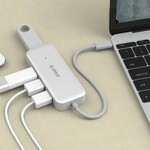 For example, the latest MacBooks already have this type-C connection. This makes the design slimmer. If you use the type-C USB3.0 hub with four type-A ports, you can achieve data speeds of up to 5Gbps. This is no less than ten times faster than the transfer speed with USB2.0. The type-C USB3.0 hub with four type-A ports has a VIA controller. This is a mini processor that ensures that the ports do not become overloaded when used. The USB3.0 hub will function optimally through the VIA controller. 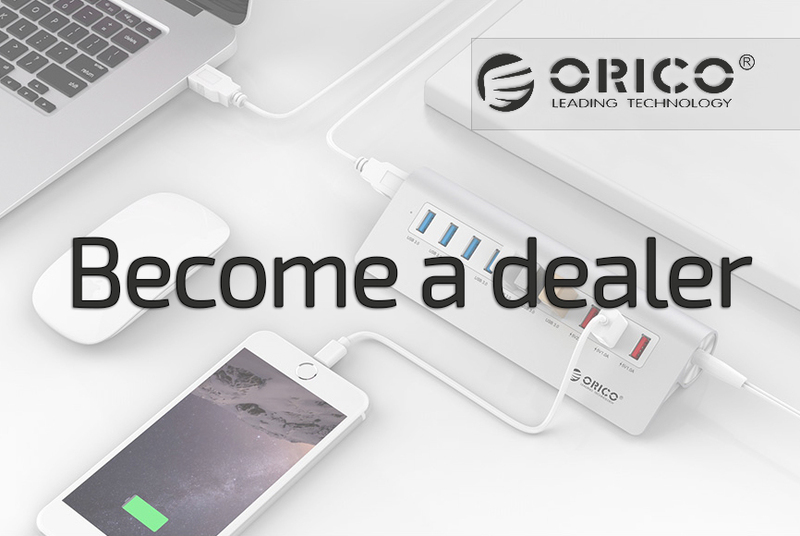 The Orico type-C USB3.0 hub is driverless compatible with Windows XP / 7/8, Windows Vista and Mac OS. 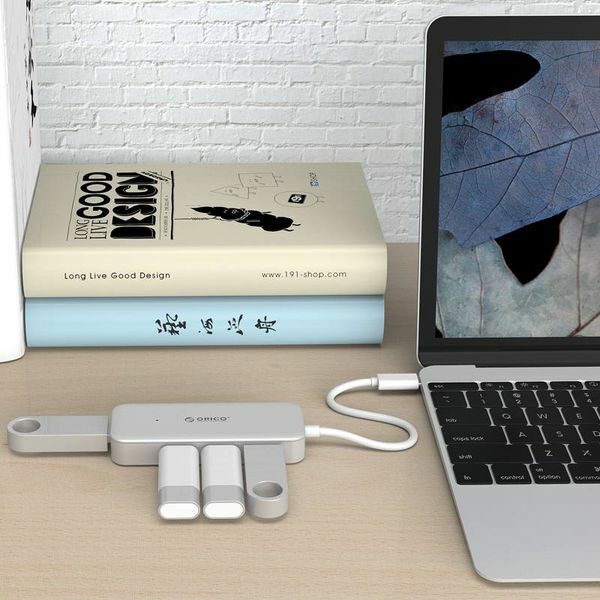 They can be used in combination with type-C devices, including Xiaomi 4, the latest Nokia tablets, the latest MacBooks and other devices with a type-C connection. Does your smartphone have an OTG function? Then you can easily connect your smartphone to the U-disk and view various files, images and movies in HD. 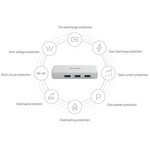 The type-C hub with four type-A ports is well secured. 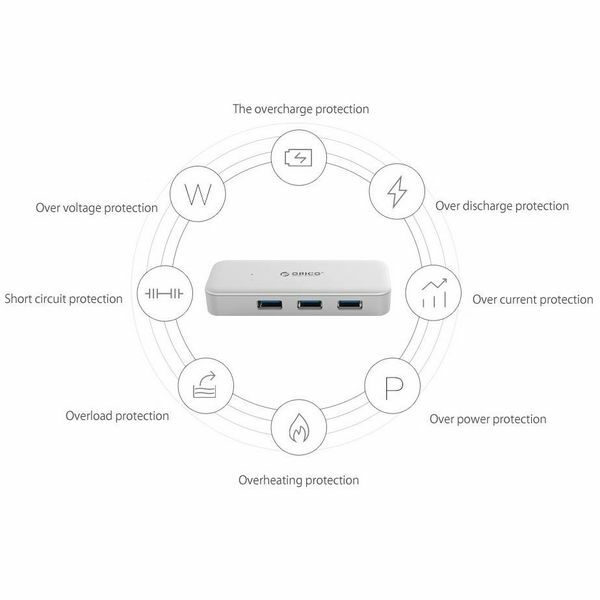 Due to the multi-security system, no leakage current, overvoltage, short circuit and overheating will occur. The product is also made of heat-resistant ABS material. 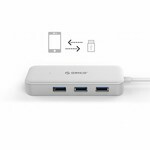 Connect multiple devices to the hub with peace of mind. ✔ Output: 4x type-A USB. 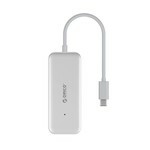 ✔ Data cable: 15 cm USB3.0 cable. ✔ Compatible with Windows XP / 7/8, Windows Vista and Mac OS. 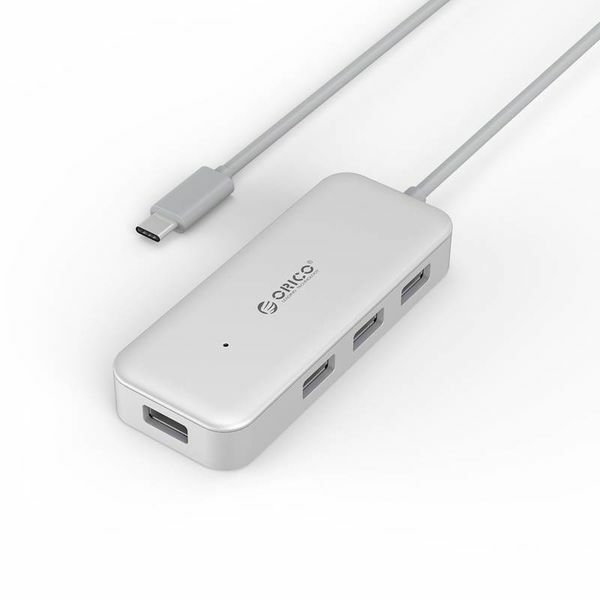 ✔ Product dimensions: 98.5mm x 39mm x 15.5mm.